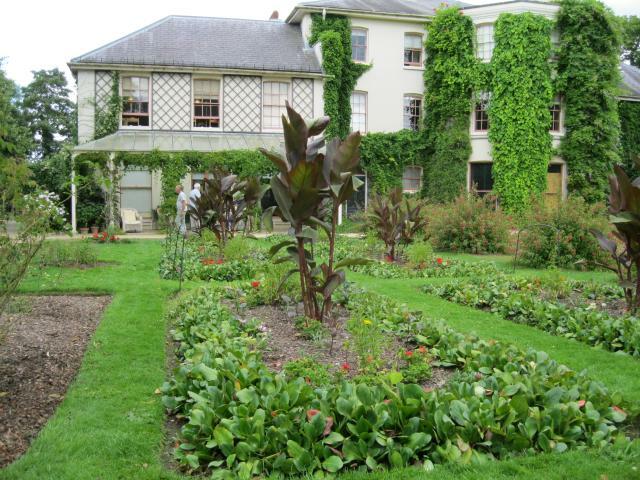 Down House was the home of Charles Darwin from 1842-82 and the gardens retain some of the structure from his time, including a square lawn below the south-west front, shrubbery with trees planted on mounds, a series of walled gardens, and the wood with the 'sand walk' around it. The garden was an inspiration for his study and experiments, and he installed paths, flower beds and outbuildings associated with his research. An asphalt tennis court was constructed in 1881. Since acquisition by English Heritage in 1996, the gardens have been restored, as far as possible, to their appearance towards the end of Darwin’s life. Down House was the home of Charles Darwin (1809-82) between 1842 and 1882 and the gardens around the house retain some of the structure from Darwin’s time, including a square lawn below the south-west front of the house, shrubbery with trees planted on mounds, a series of walled gardens, and the wood planted by the Darwins laid out with a sand path around it. During the first few years of his occupancy Darwin and his family developed the garden and orchard, which was to become an inspiration for his study and experiments. Over the years extensions were made to the house and an area of woodland, which became known as the 'sand walk', was added to the grounds. Darwin installed paths and flower beds and outbuildings associated with his research. An asphalt tennis court was constructed in 1881. The house was occupied by a school from 1907 - 1927 at which time changes were made to the garden. The Royal College of Surgeons owned the site until 1996 when it was acquired by English Heritage with support from the Heritage Lottery Fund and the Wellcome Foundation. Since then the gardens have been restored, as far as possible, to their appearance towards the end of Darwin’s life. The lawns of Down House support a nationally important community of grassland fungi, including various wax caps. Down House is surrounded by one of London's largest areas of ancient woodland and chalk grassland, part of which is now West Kent Golf Course and adjacent scout camp. The woodlands are particularly diverse owing to the varied topography and mixture of soil types producing a rich flora (orchids white helleborine, twayblade and the nationally rare fungus Squamanita paradoxa). Part of the ancient woodland has been replanted with beech and Scots pine. Chalk grassland on the edge of the golf course is managed as a nature reserve by the London Wildlife Trust and its rich flora includes large numbers of pyramidal, bee and common spotted-orchids, 28 recorded species of butterflies including the nationally declining small blue, grizzled skipper and dark green fritillary and several protected reptiles. See EH Register listing; London Wildlife Trust website. Solene Morris, Louise Wilson, David Kohn 'Charles Darwin at Down House', English Heritage, 1998; 'Darwin at Downe' leaflet, LB Bromley, 2006.